After a hectic week with the SpaceX's Falcon accident and Lazard Ltd. mistaken valuation of SolarCity, Elon Musk was able to take time today and focus on Autopilot's software v8.0 upgrade announcement. Speaking during a conference call to the press, Elon Musk announced that Tesla's software 8.0 will be coming to all its vehicles with a dramatic improvements to Autopilot in the next two weeks, right after three more beta versions. The 200+ new software additions will improve the way Autopilot recognizes objects on the road and the way it behaves in difficult situations. The new updated software will make use the radar system, along side the camera, to analyze the data and decide what the next course of action will be. Tesla will be using a more advanced signal processing to create a picture of the world. 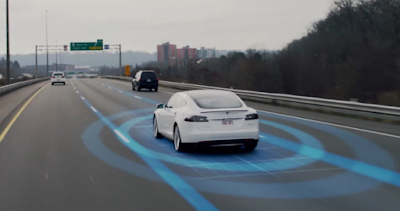 The radar was added to all Tesla vehicles in October 2014 as part of the Autopilot hardware suite but the software relied only on camera solely while radar was meant as supplementary sensor to the primary camera and image processing system. According to Musk, the radar's transmitter/receiver is centered at the lower grill of the vehicle, about a foot above the ground and will recognize all objects with an original signature, even with a faint signal due to fog, rain or snow. 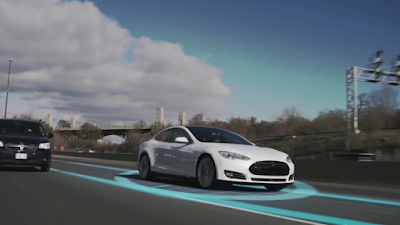 The Autopilot system will be able to automatically take off-ramp exits and will have improved Autosteering. If repeated warnings to hold the steering wheel are ignored, the vehicle will need to be parked and restarted. Musk believes the new update will improve the vehicles' safety by a magnitude of three. He admitted that the update could have saved the life of 40 years old Joshua Brown who crashed into a semi-truck while driving on a highway. Musk added that we've reached the limit of hardware improvement in this technology, however algorithmic intelligence and software will improve dramatically in the years to come. He confirmed that the software was developed solely in house without MobilEye's input. Autopilot's v8.0 was tested by a thousand beta testers around the world while Tesla was able to analyze real time data and experiences of all of its fleet. 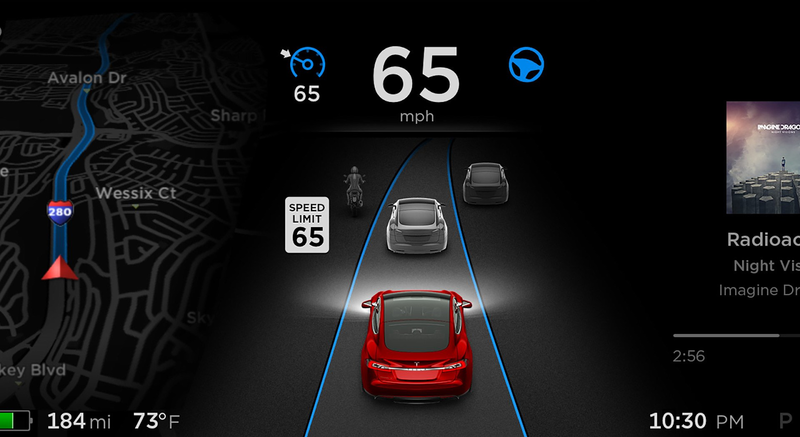 According to Musk, new and intermediate users will be mostly receptive to the new update, says Musk, as opposed to expert users who tend to ignore audible warnings and pay less attention to the road. Tesla will be adding in the future a visual indicator that lights up at pulse rate encouraging drivers to pay more attention to the road. Musk thinks it is morally wrong to withhold technology that saves lives for the fear of being embroiled in lawsuits, that is why he worked hard, despite all the skeptics, in the last four months to improve Autopilot to the point he is confident it will bring significant improvements to road safety. Things are better than if there wasn't autopilot, it is going from bad to great. 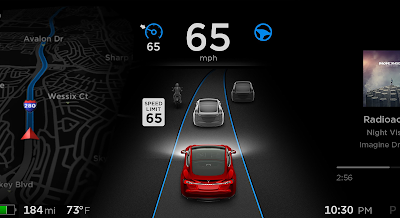 Here is a list of Autopilot release notes, you can read more about Autopilot's v8.0 on Tesla's blog.